I just wanted to let you know that I will be on vacation. 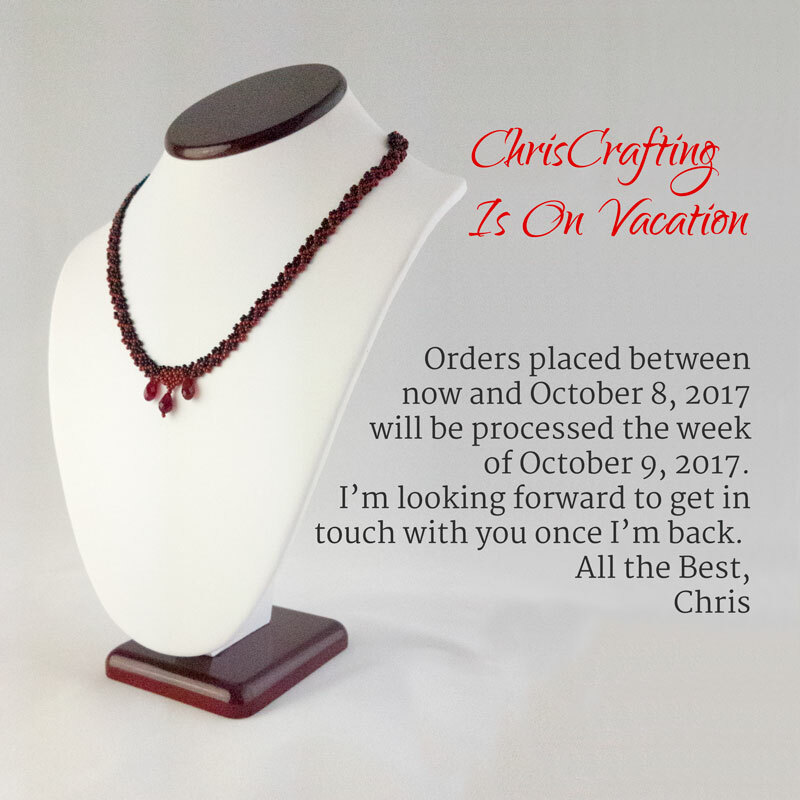 Orders placed in my Shop between now and October 8, 2017 will be processed the week of October 9, 2017. I’m looking forward to get in touch with you once I’m back. Previous post: The Inspiration for The Blood-Drenched Lace Collection: Why Vampires? Next post: Everyone Hail to the Pumpkin Song… It’s Halloween!